It’s a beautiful spring day here on Messalonskee! We met with (the incredible) Elliot Thayer this morning. Elliot is our surveyor and he’s been a most wonderful help with the entire permitting process, walking us through it step by step. Today we were discussing our “special” case and how the frost wall and slab for our new house will work. Because we are so close to the lake, we have to take (and want to take) all sorts of precautions. The first of which will be to build a berm all around the construction site to keep the silt and run-off from going into the lake. We’ll take delivery of 16 yards of wood bark mulch and some rock to mix with it to build the berm and then the backhoe will place it all around the site. We were given Elliot’s name last summer and when we met him we knew he was “our guy”. While the initial fee was a bit shocking, we are so grateful to have him in our corner and I’m quite sure that we’d be nowhere close to where we are without him. And, on top of it all, he’s a really nice man. Elliot called the roads department after he left us and he says that the posting on our road will be removed on Sunday or Monday. Then we can really start to make headway! We also have to get a permit from the DEP for the demolition. Elliot is going to work on that. 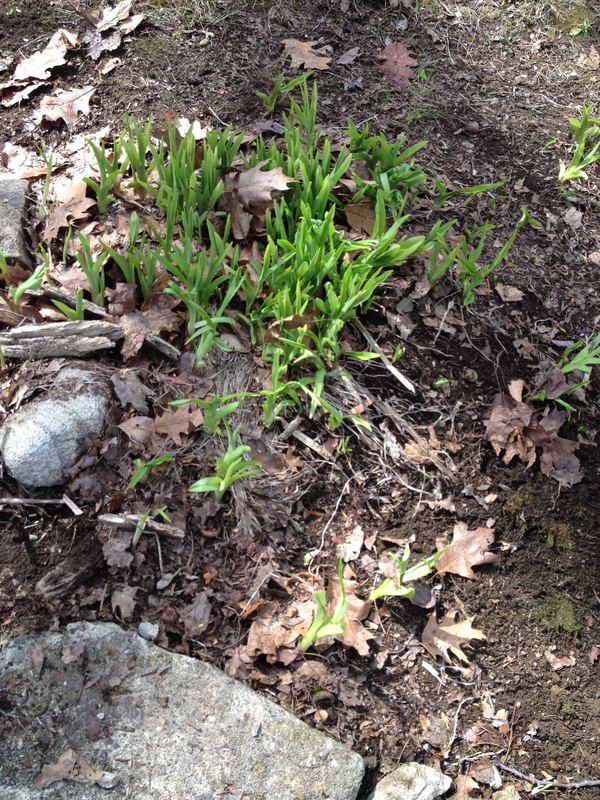 Day Lilies have doubled in size since yesterday! The birds were all over the yard this morning. gold finch, yellow rumped warbler, and several others. The feeders were active and it was a brisk 49 degrees. This afternoon we got the better part of the yard raked and ran a bunch of errands. (I now have a bank account in Maine! Woo! Hoo!) The perennials are popping up all over the yard. It’s such a thrill to see the plants come back year after year. I’m looking forward to adding to the perennials this summer and planting bulbs in the fall so we can see them come up next spring. Baby steps. Every day there is progress! This entry was posted in Building a Home, We're Here! 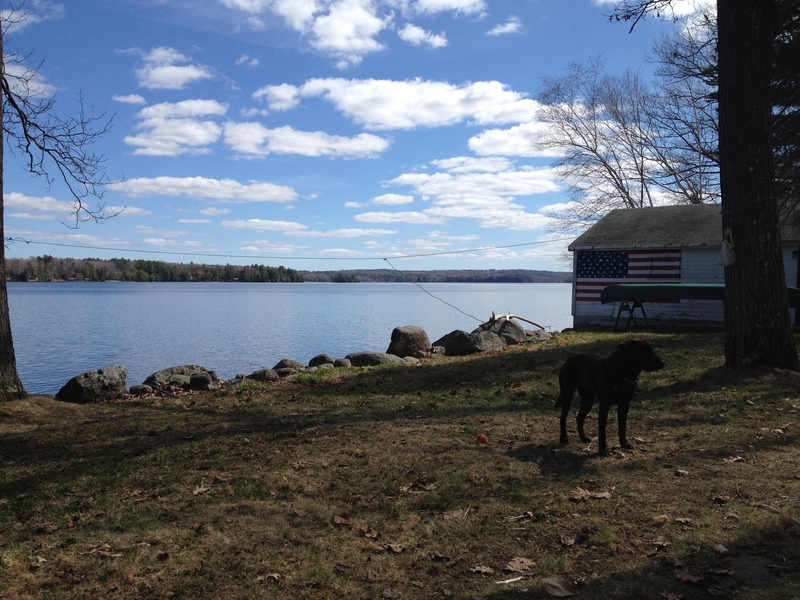 and tagged Elliot Thayer, lake house, landscape, Maine, Messalonskee Chronicles, settling in, We live in Maine on May 1, 2015 by lindarockwell3.